After a very long journey across 3 state borders, we were able to navigate via a few tornadic supercells with base ball sized hailstones in some cases and intercept a cell that spawned a tornado in Louisianna near the border with Mississipi. 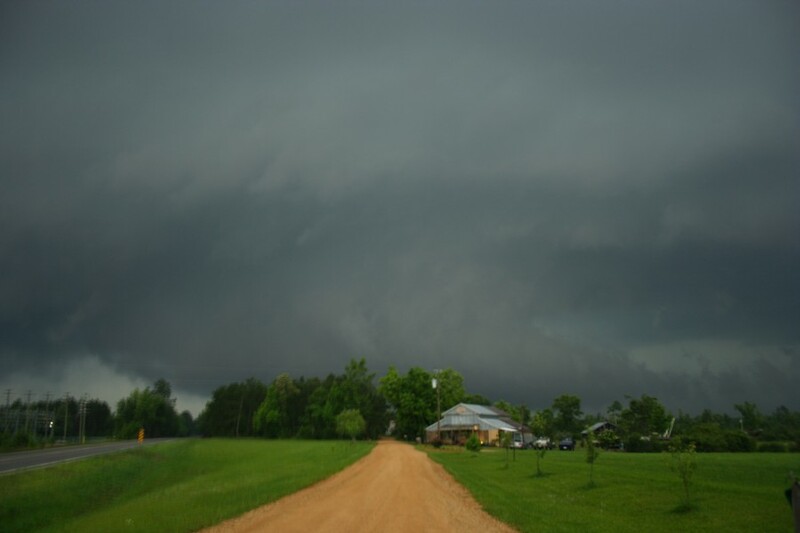 Finally at Brookhaven, we headed west of Brookhaven up close and personall to a large wall cloud. Rotation and upmotion was observed as this wall cloud paralleled us to our immediate north and northeast.